Posted in Nonprofit - Social Services 30+ days ago. Our client, a nationally recognized health system, is seeking a Coding Manager! The Coding Manager is responsible for managing all aspects of coding education, coding and revenue integrity procedures as it impacts the organization's revenue cycle. This includes planning, monitoring, and directing all activities pertaining to and impacting coding, coding audits, charge capture, and physician onboarding. The Coding Manager will be responsible for leading the revenue integrity team to ensure charge capture activities are completed timely and accurate within established guidelines and regulations. 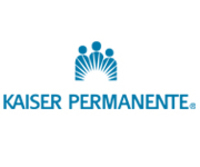 Additional responsibilities will include managing, tracking, and facilitating policies and procedures for accurate reimbursement while maintaining patient and physician satisfaction and adherence to compliance policies.